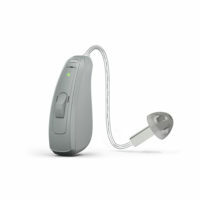 From the ever progressive company ReSound, comes the LiNX 3D 5 receiver in ear hearing aid. 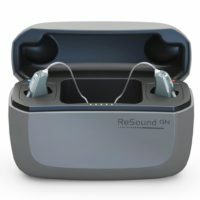 Resound, a hearing aid company that spans over 80 countries, to nearly half of the world, brings hearing to life with the most futuristic technology. The new 3D range aims to viewing hearing with full 360 degree perspective. 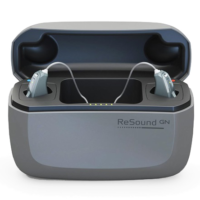 ReSound has the upper hand of experience, with their third generation of binaural directionality and fifth generation of wireless technology, of 2.4 GHz, to provide to you a very refined product, able to cope with all environments, quiet to noisy. Via the Resound companion app for iPhone, iPad and iPod (suitable models 5 and up) and Android, speech identification is improved, sounds around you are heard more often and speech in noise is more widely understood with this surround sound technology. This application can also find your hearing aid if lost or misplaced, with a trackable location signal incorporated into the design. Designed to cater for mild to severe hearing loss, the LiNX 3D 5 keeps all individuals in mind, releasing their hearing aids in a wide variety of 14 colour options. Included are 12 channels and 4 programs, which allow your audiologist to finely tune your device to fit your specific hearing loss, for the most optimal results. Included with your purchase from Hearing Choices is a 3 year warranty, with 1 year covering any damage or loss, making your choice clear. A remote can be added as an optional extra accessory, to enhance ease of access. An additional accessory, the ‘MicroMic’, can be synchronised to your device, to amplify from a distance and even translate other languages into your device, a necessity when travelling to foreign countries. Complete with a size 312 battery, able to last for a significant period of time, the need to replace batteries frequently is a problem of the past. This ReSound model features ‘Sound Shaper’, which compresses high frequency incoming sounds and reduces their frequency to a level that will be heard more easily. This feature improves recognition of speech and improves the quality of the sound. The device also features Bluetooth connectivity, to make all links wireless. 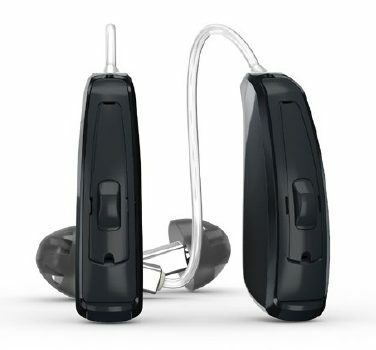 In comparison to the LiNX 3D 7 receiver in ear device, the same number of hearing programs are featured, and only 2 extra channels are added, for a considerable cost difference. Overall, the decision to purchase the LiNX 3D 5 with Hearing Choices is easy, as the benefits are made very clear.